This function enables you to safely remove USB disk, which works the same as the way operating system eject removal devices. 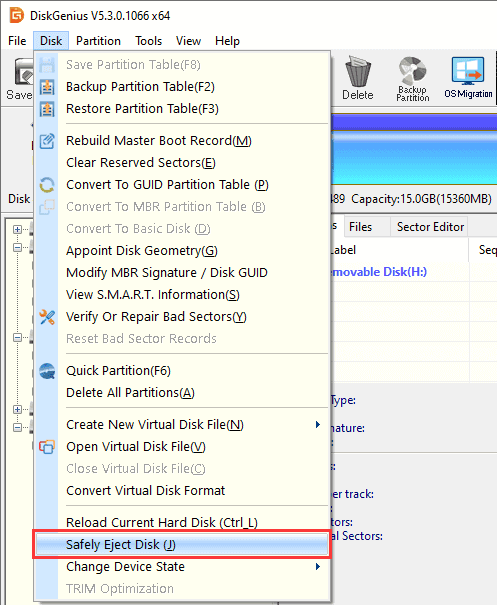 Select the USB disk you want to remove and click Disk menu to select Safely Eject Disk. When the disk is ejected, you can unplug it from computer's USB port.